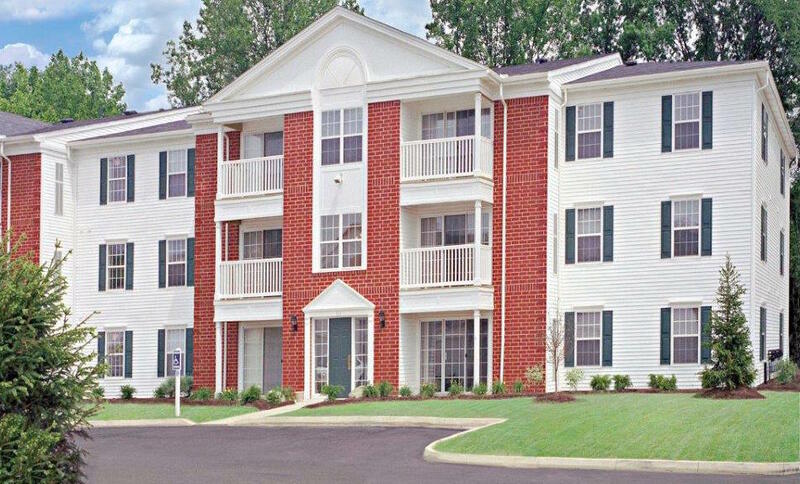 Generous seasonal displays, blooming color and attention to detail on the grounds at St. Mary of the Woods in Avon provide the type of visibility and outstanding curb appeal the upscale retirement community seeks. This 2015 U.S. News & World Report “Best Nursing Home” winner knows that the landscaping is a reflection of what’s inside the facility. 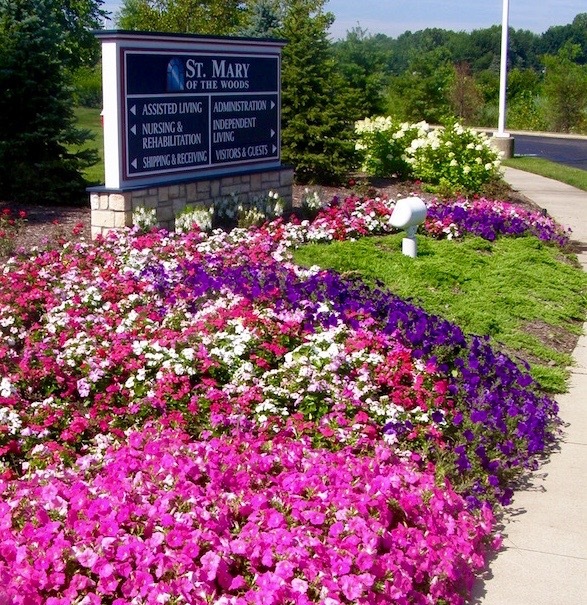 “The grounds need to be tidy, well-manicured and taken care of so visitors and prospective clients will believe we do just as good of a job inside, and that’s where Schill Grounds Management comes into play,” says Dave Csalos, Director of Plant Operations at St. Mary of the Woods, part of the Atrium Centers, Inc. family. Chris is the Divisional North Manager for Gross Builders. From projects and budgets to personnel and physical assets, he directly oversees all of the company’s Ohio properties — 18 in total. Needless to say, he’s a man with many responsibilities. Cutting the grass shouldn’t be one of them. Up until 2014, Gross Builders hired area high school and college-aged students to cut the grass on all of its northern Ohio properties. According to Chris, the time spent on staffing and training individuals to care for the turf got to be too much as the demand to turn apartments became high. 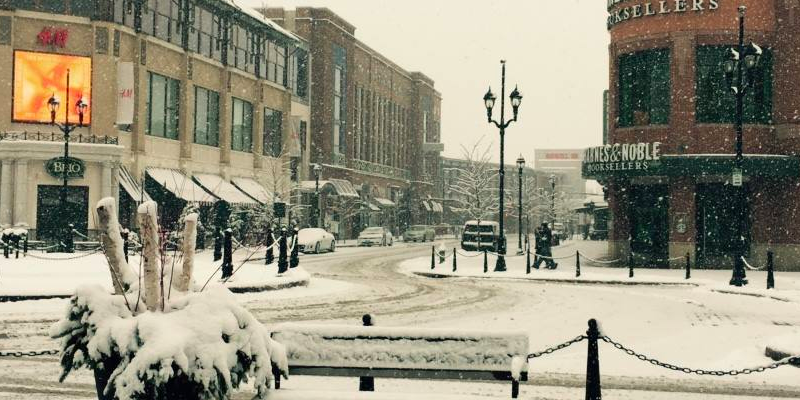 The Crocker Park lifestyle center is a “city” that rarely sleeps. It’s a fast-paced business district with retailers, restaurateurs and corporations. It’s also home for residents who dwell in the loft spaces and brownstone-esque townhouses. The 75-plus acre destination for shopping, dining, living, working and playing is in a state of constant development, especially today as new phase of Crocker Park takes shape along with construction for the American Greetings headquarters. There is a period of roughly three hours from 2 to 5 a.m. when Crocker Park could be considered “closed,” though that window does not take into account sleepy residents who do not want to hear commercial snow removal equipment scraping across the parking garages. But property maintenance must go on, while customers shop, residents sleep and businesses operate.